Andrew Kern tells the workshop at one point in his young education, he picked up Euclid’s geometry and read the first line, which is “A point is that which has no part.” I and all the other workshop participants all looked up at him with a sort of an expectant, “well?”, maybe even- “so?”. After a breath’s pause, he says, “it took me five years to truly understand that line.” He goes on to explain how it didn’t just affect his understanding of mathematics and geometry, specifically, but also theology and a thousand other things. It takes a while to learn a truth and fully, completely understand it- when the eureka! moment hits and we see not only what we are learning but many other related truths. This reminder is something I really needed to hear that day, and I continue to remind myself of it daily. Learning is on a child’s own time table. This becomes all the more true when you have the privilege of teaching children with special needs. 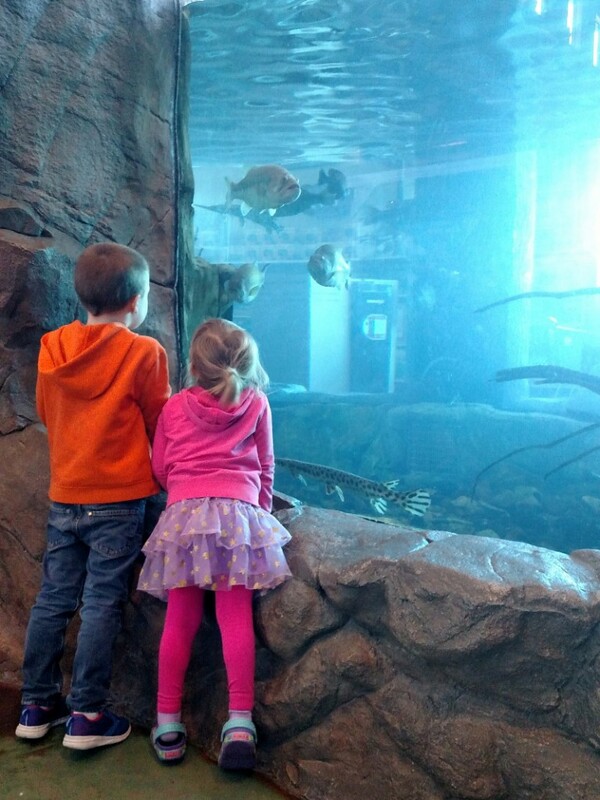 Some of those eureka moments come after incredibly long battles for the child. Years. Sometimes decades. It takes so long sometimes that we forget what we’re aiming at and lose hope and wonder why we’re going over that idea, again. The Circe Institute is very quick to point out (you’ll find this reflected in most Classical learning communities) the dignity of the human person, and that we are all on this journey of learning- to take our dis-ordered thoughts and find order for them. The idea of learning is not limited in any way. We can all embark on the journey. Even though on the surface the ideas of Classical learning look difficult and hard to reach- Latin roots, anyone?- an education rooted in wonder and inquiry and contemplation will open worlds to anyone willing to try. I loved how Andrew described what teaching the languages of math does, when I think about my sensory processing kid- he said: 1) it is healing to the mind, 2) it helps develop a habit of seeking out harmony, and 3) it will moves us from being materialists (concrete thinkers) to being able to entertain abstract ideas (faith is the evidence of things unseen). Well, when you put it that way, no wonder it is my owly boy’s favorite subject. Here’s where the nitty-gritty comes in. My twelve year old has some pretty significant processing delays due to the Sensory Processing Disorder. (Think of a internet browser window with dozens or hundreds of tabs open and how slow your computer gets as it “thinks”- except on a human kid level.) Part of teaching Isaiah is teaching him in basic terms (completely unrelated to learning) how to close some of those browser tabs and up his operating memory. Sometimes this is coping mechanisms. Sometimes this is tools like gun muffs that deaden the sound input. On the learning level when it comes to math, Isaiah is exceptionally brilliant and is always thirsting to know more and understand more. His processing delay holds him up. He ‘gets’ the idea, but it often takes him a long time to calculate. He can give you an answer (that is usually right) but would be hard pressed to spell that out in mathematical language, so it’s hard to tell if he really understands the concept or if he is just guessing. We’ve had to find a happy medium between him doing it all in his head and spelling it out for others to check his work. Personally, I think he completely understands it and probably far better than I ever will, but I have to teach him how to express what is in his head, especially in mathematical and scientific languages, so that he can communicate with others who are like-minded. The same could be said for both he and my oldest daughter, who was diagnosed with dyslexia last year in regards to writing and reading. Both have global delays. Isaiah’s is caused by unregulated sensory input and Lorelei’s is related to the flip flopping that the dyslexic brain likes to do. They both have “too many tabs open” in their language and writing browsers, but the tabs are open for different reasons. We use All About Spelling for formal work, but we don’t stop with the program. I give them both extensive multi-sensory approaches to their spelling lists each week. Writing in scented salt is a favorite of Lorelei’s (so cheap and not quite as messy as sand!). We use both big (three foot wide) and small (10 inch) white boards to write and I encourage them to both write BIG and small. Writing big usually crosses the mid-line of the body, helping to solidify connections in the brain. Writing very small increases focus. Sometimes Isaiah hops out the word or moves his body side to side as he spells a word. Writing in the air is popular too. And, it should be stated, I don’t teach like this just for my special needs learning kids, I teach like this for all my kids in all areas. Our language work increasingly looks like play. We primarily use Montessori “games” or work boxes. (Again, Pinterest search is your friend!) Currently all of my children save my oldest are working in the Primary Arts of Language (PAL) curriculum from Institute for Excellence in Writing (IEW). This program is fantastic and is particularly fantastic for children with special needs. If you buy nothing but the Phonics Games book, you have made an excellent investment. To this day one of the kids favorite games is Mugs, which is one of the first games in the book and one of the most basic. You feed him bones with letters on them, saying their sounds as you feed it through his mouth. (I’ve adapted this as time has gone on to use sight words that all the kids should recognize automatically, especially Isaiah and Lorelei.) They giggle so hard, every.single.time. They work and they laugh and they learn! The PAL books (there are two, one for writing and one for reading) guide you as a teacher through a series of lessons and ideas. As it stands right now, my middle two boys are using the program basically as written, and I don’t tweak much of it. They are currently working in Part II in both Reading and Writing books. My bigs (Lorelei and Isaiah) use the general concepts presented in Part III in Writing (they don’t use the Reading book), and we use excerpts from the My Book House series to practice. Right now we are working on writing a creative story, so over the last month we have been forming our character, place, and main outlines to refer to as we begin to write the story using the concepts we’ve learned from Part III. Because it is hard for them to write, we take it slowly. Two or three sentences are usually the max, though we have been slowly building to a whole section of an outline or a paragraph worth. For them both, I will immediately back off or begin to scribe for them if I sense frustration or shut down. Scribing is important for them both. They’ve truly understood how to form their thoughts and can speak them aloud. When it comes to writing, the processing slows them down to a point that all the fun and joy of creating and sharing thoughts disappears. So again, we work both forward and backwards- scribing allows them to work “on-level” and get their ideas across, and we work carefully and slowly on building writing stamina and skills. Lorelei has gained so much confidence in this area (as opposed to the heart-breaking tears last year) that she will often write her own little stories and ideas in notebooks I have always available on our shelves. Sometimes she asks for help spelling a word, but she is often holed up on the window seat scribbling away. That is incredibly heartening for me to see! Even writing something as long as a paragraph last year would result in tremendous frustration and shut down because she was struggling SO much with syntax and spelling. For all my children, we are using the Montessori grammar “shape”concepts coupled with the lines we are memorizing from Shakespeare. Each type of word has an associated shape- a pronoun is a tall purple triangle, an adjective is a large blue triangle, a noun is a black triangle. And when you need the best, richest, most loveliest examples of how words can fit together, there is a reason Shakespeare is Shakespeare. The prose is incredibly well crafted and gives them plenty of meat to feed upon. It’s absolutely a game to “solve” the sentence first, picking out the shapes they think fit with the words. I will take the grammar farther with my eldest, often diagramming the sentence with him to illustrate the ideas further and often comparing it to a Latin form (as he is also taking Latin) , discussing why Shakespeare chose to use iambic or short verse or prose for that particular line and how it changes how the line falls on the ear. I usually do that later, as it overwhelms the younger kids. The point I’m getting at here is that we use as many great embodiements as we can find to illustrate what we are learning, we make it as multi-sensory as possible, and we keep trying. I had already begun to lean this way in my thinking before taking in the workshop, and hearing Andrew and Matt speak only further solidified in my mind that I was on the right track with teaching my special needs kids. We keep working on ordering our minds, trying fresh and new each day, building bit by bit with careful steps- and I can truly see how their mastery is increasing. On a standardized test they are still going to be very weak in some areas, but it doesn’t matter to me at all- I know they are working towards their best and they will get there- on their own time. I will have a post for you later this week full of some great resources for teaching special needs children. 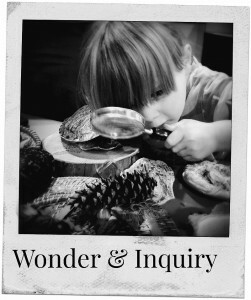 This is the eighth entry in the Wonder and Inquiry Series. I’m sorry for slipping out right in the middle of a series. Josiah had some complications with his cecostomy tube that necessitated a late night emergency department visit Tuesday night and subsequent admission on Wednesday morning. Amazingly and gratefully the surgeons were able to get to him early in the day on Wednesday and fix things and we got to come home. It was certainly unexpected. I ended up being awake for over thirty hours due to our normal day on Tuesday plus the ER for 13 hours and so on. By the time I thought I’d get to curl up and rest at the hospital, they were releasing him. Needless to say, I don’t recommend it. It definitely sent our week spinning about! I plan to draw the winner of the Restful Teaching series tomorrow, February 2nd. Every comment on any of the Wonder and Inquiry posts is an entry- I will also grant entries for shares on social media (please tag me so I can see it). You have until tomorrow to enter! I was thinking about this path we’ve chosen during the crazy pre-dawn hours in the ER. (It was so slammed. That pneumonia/cold virus hit very hard in our area and it was certainly reflected at the ER. So many little ones, struggling to breathe! The nurses and doctors were run near ragged.) We were pretty sure that Josiah was going to be admitted, so he stayed awake at first, even though it was creeping past his bedtime. I usually bring a small collection of things to entertain him, but he was interested in none of it- he wanted to do math homework, of all things. Math!? I wondered at this at first, but the more I thought about it, the more it made sense. He is at an age that he understands exactly what is going on when we get to the ER, that there will be pain, and eventually (a loonnnng eventually, in most cases) they will fix the discomfort and pain and we’ll get out. But there is never really an answer one way or the other as to the timing of things. The only identifiable characteristic of these hospitalizations for him is their very uncertainty. And he’s also at an age that he is falling madly in love with math- with numbers- with the very language of it, the certitude that this and this is always that and if you do this the number always does that. When I saw it that way, his late night craving for math made sense- his way of controlling the uncontrollable. It made me think of the Apollo 13 movie and Jim Lovell’s wife saying to him that when he was on the far side of the moon [on a previous mission] she vacuumed the living room floor over and over until they made radio contact. The ways we find to cope. Later on in the wee smas, they wanted a contrast dye x-ray of his port and tube. He had been asleep for awhile, angry and groggy. I hated waking him up. He began “coming to” as we were passing from the ER into the Radiology ward, which is decorated in an undersea theme. There are fish, dolphins, manta rays, coral, and a bunch of other things painted on every surface. The windows are even shaped like port holes. He looked about and asked me if I thought that Professor William Waterman Sherman would have seen creatures like this on his trip [across the Pacific before he crashed on Krakatoa.] The tech of course is giving us quite a funny look, a bit lost. I answer Josiah that I thought maybe he might have seen the bigger ones looking down from the balloon, but he wouldn’t have been able to see the smaller ones. At this, the tech is looking at us both with a positively quizzical look on her face. More than one tech remarked on his recall of the story, and one even said, “Now I have to go find that book! I want to find out what happened next!” They all asked me how he could remember such an involved story. I just shrugged my shoulders, because it’s not like I make a regular practice of having them narrate. We use narration within an Institute for Excellence in Writing framework, but I do not require them to narrate everything they read to me. I was impressed myself! He was remembering details I had already forgotten. Later, after he had been released and we were headed home, I got stuck in traffic due to some boffin DOT workers. He said (with perfect comedic timing, I might add) “what fools these mortals be!” in his best dramatic voice. The line is from Act 3, Scene 2 of A Midsummer Night’s Dream, one of Shakespeare’s comedies. We’ve been learning small sections using How to Teach Your Children Shakespeare, and this particular line has sort of become a running joke in our family, each kid putting his own spin on how Puck might of said it. I’m including Ellianna’s below because it is just too cute! But it was just so funny! His sense of humor lightened the frustrating situation. I was on hour thirty one of no sleep at that point and it made me laugh so hard I cried. For such a difficult time and a particularly long, wearying week, all these moments that happened with Josiah were such shots of encouragement to me. I’m so grateful we have this family well of stories and culture to share in the hard moments. This path of wonder leads to moments of joy. I can keep on keeping on when things get difficult if there are moments like this to be had, even in the most unlikeliest of places and hours! Second star to the right and straight on till Morning! This is the seventh entry in the Wonder and Inquiry Series. Don’t forget to comment each day for an entry to win a digital copy of Restful Teaching from the Circe Institute! I’m not going to dwell on how to plan in this series because there are so many wonderful resources for that already. Teaching from Rest by Sarah Mackenzie is the absolute best- she has also studied under the Circe Institute and Dr. Perrin of Classical Academic Press, so it is all in the same vein and full of practical wonderful tips for the day to day. A little birdie also told me that Sarah is having a master class Feb 8 and 15 on focusing and aligning your homeschool day (especially when you’re feeling foggy), dovetailing so nicely into what I was saying about checking the map in the last post. Isn’t that perfect? I have taken Master Classes from Sarah and they are so unbelievably chock full of great information. Worth every penny. I’d also point you to the rest of the Schole Sisters for resources- Mystie Winkler and visiting guests Jen Mackintosh (Wildflowers and Marbles) and Dawn (By Sun and Candlelight) just wrapped a great series on planning too. Here is where the rubber meets the road. Early childhood. For those of us raised in seen-and-not-heard traditional environments, it is probably the most mysterious stage of them all. It’s also the stage that is sort of assumed or left out of most educational writing and thought, especially those in the Classical and Charlotte Mason vein. If you are perhaps a young parent with a two year old reading all sorts of homeschooling literature, you’re probably a bit puzzled and yet inspired by most of what you’re reading. You know you want that kind of education for your kids when they reach school age, but what do you do in the meantime? Especially when most of the literature discusses not really beginning in earnest until around age seven? That’s quite a bit of time. I wondered the same thing. 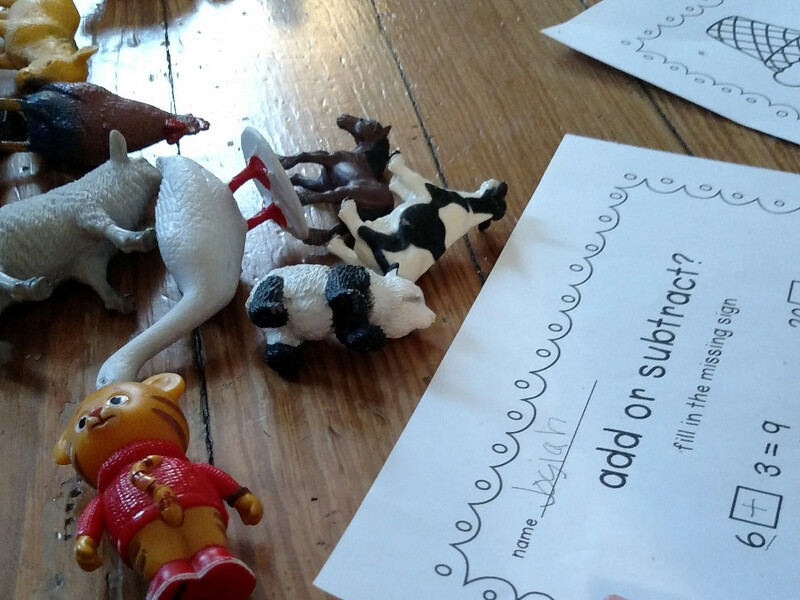 When my eldest two were moving into the sort of kindergarten, first grade years, we began faithfully working on letters and numbers and all in the traditional fashion, but it was hard going. Our school-y times just draggggged. We eventually got to a point where they were both reasonably reading and writing enough to pursue other subjects, but I don’t think any of us look back on that time with fondness. I resolved then and there that when the next two were jumping into those years, I’d have a much better understanding of early childhood and elementary years. I think the reason it is not often mentioned in Classical and Charlotte Mason literature is due to the fact that both sort of assume the child is growing up in the very sort of environment Montessori, Steiner, and Malaguzzi describe- one that is not familiar to many modern readers because our whole basis of life at home and in the world has changed so fundamentally and has become very bifurcated and shattered. Thus, I’ve found reading and studying these approaches has helped me to “fill in the blanks” so to speak. I started where any modern, twenty-first homeschooling mother would start- a Google Search. Suddenly, a world I had never even heard of bloomed before my eyes. Unfamiliar names like Maria Montessori, Loris Malaguzzi, and Rudolf Steiner were bandied about with abandon. The common thread through them all is a gentle, beautiful, holistic, child-led education that has no drudgery at all. While they may all quibble in the details, if you were to walk into any early childhood classroom in this vein, they’d look very similar. The environment is beautiful and natural. Everything is child-sized, but not in a cartoonish, cloying way- these are simply smaller replicas of what mom and dad use at home. When you walk into an environment like this, the room is both quiet and buzzing with activity. Children move around with purpose- intently playing. Just playing. As I said before, toddlers don’t need instruction in viewing the world with wonder, inquiry, and joy. They can teach you more about it than you could ever teach them. I think half of our job as educators past the early childhood years is to help them hold on to that superior skill and not squash it. I firmly believe that a mastery based education is going to continue to nurture this ability and spark in the student throughout their learning years. There is no way I could even begin to break down everything I’ve learned from these schools of thought, but I wanted to bring them into this series because I believe that they are wonderful tools in nurturing children in early childhood that sets them up for a great adventures as they begin the grammar years. I’d strongly encourage you to research them more on your own if you are curious- I’m including a resource list at the bottom of this post to encourage this very thing. I’d also note here that I find using these approaches are extremely helpful when dealing with a child who has processing delays or special needs- as all three are based on multi-sensory learning. I have carried ideas that are typically meant for two or three year olds well into upper level elementary learning for my child with Sensory Processing Disorder. It is their very gentleness that I appreciate the most- they are easy to adjust for an older child in a way that doesn’t make the child feel talked down to or worse, judged, for not being able to do them- we should never underestimate the healing power of play. So instead, I’m going to note the major theme I learned from each that I found most helpful. The overarching theme you can really think about with all three of these is the idea of intentional play. All three see the teacher as guide, not didactic near-dictator of learning ideas. They take direction from the child’s play. If you take nothing else away from Montessori, her view of a child’s need and ability to learn autonomy is absolutely essential to a well-formed education. She felt very firmly that children are capable of doing many things themselves and that it was part of their early education to teach them these skills. In a Montessori early childhood classroom, you will find children playing and practicing at skills like setting the table, washing hands, taking care of their bodies (brushing teeth and hair), putting on clothes, preparing and cutting up snacks and meals, and just about any other sort of adult life-skill you can think of. The whole environment is oriented towards the child learning independence and autonomy. Everything is child-sized. The tools for the job are simple and beautiful, and they are always put back in the same places. This may seem a simple thing, but it cannot be overstated in our current American culture. Teaching our children about themselves and the world around them and how to care for things both physically and emotionally at a young age is probably one of the most foundational needs of an education, to form one’s virtue. Many Montessori materials looks like playing (which they are) but they are contained (usually on a beautiful tray or basket) allowing for close focus, and they are nearly always self correcting. A child using a Montessori tray will learn a concept by playing for as long as they like in whatever way they like-eventually discovering for themselves the order of the activity. There is always an example and an invitation to try it themselves. Montessori early language and math always concentrates in play while helping a child to recognize relationships between themselves and the subject at hand. If I could boil it down to one sentence, including Montessori ideals in your tool box means seeing relationships through play. There are many cross-over points between Montessori and Waldorf, as they were developing their theories in roughly the same time periods in the same part of the world. Waldorf also focuses on a gentle early childhood and the idea that subjects aren’t taught, but experienced. Waldorf very overtly affirms the spark within the child in a way few other educational schools of thought do. Not only do they talk about and encourage the students to see the spark within themselves, they also encourage the students to see the spark in the world beyond themselves. There are many of the Christian faith who will struggle at first with Steiner’s philosophies, but if you re-frame this idea as seeing the Icon of Christ both within ourselves and in others and recognizing the Logos within the world, Waldorf approaches are tremendously helpful. If there is anything I have taken away from my study of Waldorf, it is how essential it is to highlight the beauty and order inherent in the world. Waldorf environments will literally make you take a deep, calming breath- there is such beauty and softness and wonder. Chalk and wet-on-wet watercolor are used often, both incredibly forgiving mediums yet utterly satisfying in their beauty. This approach is actually named for a community in Northern Italy where this education style first took root. It also formed later than the first two, in post World War II by a teacher named Loris Malaguzzi. It is clearly influenced by the ideas of Montessori, but has taken on its own unique flavor. It’s not an accident that this theory developed in a community- collaborative learning is one of the hallmarks of Reggio. One of the most repeated statements associated with Reggio is ” the child has a hundred languages”. An educator’s job is to learn from the child his or her unique language and foster it. One of the most helpful ideas I have taken away from the Emelia approach is how to document a child’s journey of education so that I as the teacher am participating in collaborative learning with them. It is taking a child’s inquiry, essentially, and making sure to ‘set the feast’ during the next learning period to foster that. I don’t see this as contradictory to a Classical. Charlotte Mason style education at all- if anything, it extends the idea, allowing a child to take what is being learned and scaffolding it to their own unique interests. It is as easy as taking a snapshot or quick video of a child’s work on your phone and pulling it up the next day and saying, “you know, you were wondering about this. What are some ways we can figure out the answer?” Reggio by far has encouraged me the most in fostering a sense of wonder and inquiry in my students, simply by listening to them and helping them find their own intuitive voice in seeking out knowledge and information. There are tremendous resources available, and here are some of my favorites. Matushka Emma has documented her journey in, as she put it “our own kind of Orthodox MondorfHomeschooling ;-)” and is probably one of the most visually practical ways of seeing how these different tools can be blended and used with young children. I’ve linked to her homeschooling category, but her Festal and Living and Learning Basket Categories are not to be missed. An Everyday Story is just a fantastic resource for early learning, period. (To note: her oldest son has autism, and she often talks about how she shifts learning to support that, which is super helpful!) 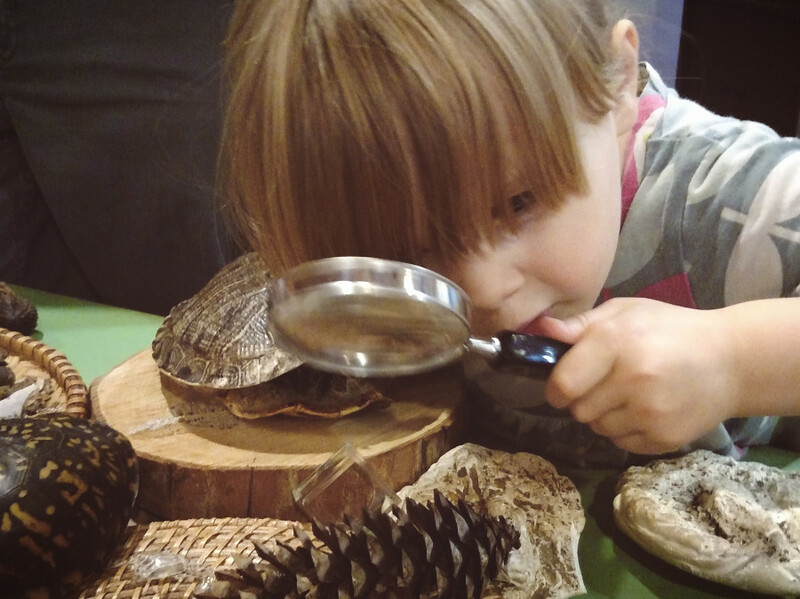 She focuses primarly on a Reggio Emelia approach, but you’ll see aspects of Montessori and Waldorf included, too. She shares documentation of what her kids are learning, which helps you to see how to listen to your own children’s inquiries. She occasionally hosts sponsored content, but she always makes it abundantly clear when those sort of posts appear. Rhythm of the Home was a wonderful resource for gentle parenting and Waldorf style education ideas. It has since grown quiet, but the archives are still there and are tremendously helpful. I often will go click around when I need a quiet shot of beauty and encouragement, even though I think I’ve read the archives through two or three times. Parenting Passageway was a huge game changer for me about six years ago. She not only discusses a blend of approaches between Waldorf and Montessori, she often discusses the bigger picture of the child in community and gentle parenting and discipline approaches. Even if you aren’t homeschooling your children, you will still find this blog to be very insightful and encouraging. Michelle Garrells (wife of wonderful musician Josh Garrells) has begun The New Domestic in the last year or so and has such lovely illustrations of how a blended “Mondorf” type education works as well. Bethany of Cloistered Away also serves as a pleasant visual resource for thinking about how these things might look. Nearly all of the bloggers I mention here have accompanying Instagram accounts which take their pursuits a bit further, but among them all, Bethany’s blog and Instagram account are the only “commercial” resource I link to. Both the blog and the Instagram account regularly feature sponsored content, so just be aware of that as you are reading. For broader reading and understanding, here are the major websites for each approach. This is the sixth entry in the Wonder and Inquiry Series. It has been nearly three months since I attended the workshop. In the intervening time, I’ve had a lot of time to think about and absorb what was said. It was weird to walk out of the workshop and feel such incredible release and freedom while simultaneously feeling, well, slapped. I wasn’t lying about the OUCH factor. It’s a difficult thing to wrestle with. Having had the time to wrestle for a while, I find that I do agree with Andrew and Matt in the essentials. There is a reason I delved so heavily into the dragons and our own ways of learning in the last post- I find that without considering that, it is hard to move forward into considering what a education based in wonder, inquiry, and contemplation looks like, especially if you have been given some sort of learning or medical diagnosis. So much of what we have to deal with as parents of these amazing kids is endless meeting and appointment where we hear about how they aren’t measuring up to set benchmarks, whether they be developmental or cognitive. We keep hearing about how they will never do this, never do that, or that “they will be x years behind their peers in these areas”. Honestly and truthfully, I don’t think it’s just a special needs problem- I earnestly believe that it is the same problem with our national view of education, period- we have become so focused on outcomes in learning that we have forgotten that there are very real human beings under those numbers. There are real teachers, bless their dear hearts, who are giving a hundred and ten percent every single day while facing some insurmountable cultural problems- things they themselves can’t do anything to fix- and then getting torn to pieces by administrations that can only see the numbers. They don’t see the love these teachers pour into their jobs. But even more so, our children have become numbers, too. We forget that they are children; we forget that they are human. We forget just how different everyone is and what challenges they might be facing. The idea of achievement has become so ingrained in us that we don’t even see it as odd or off, which is why statements such as Andrew and Matt made can jolt us in such a painful way. You must keep in mind that I am not saying this lightly. I am a second-generation homeschooler who was in a magnet/honors public school environment for my high school years, having experienced both private Christian education and public education in parts of my elementary years as well as being homeschooled. I worked in the homeschooling industry at a very high level for almost four years. I’m not saying that achievement based education is a “public school problem”. I’m saying that achievement-based education is a national problem, no matter what educational source (public, private, or home) that you might choose. Or maybe, even, that it is a Western problem. We know from our own experience in learning that it just doesn’t work that way- that it takes us as adults quite a bit of investment of time and research before learning synthesizes into something useful. Why do we expect our children to operate on external time tables that we as adults don’t normally function well within? Also, why do we lock our children into only one way of being able to gather information for that learning experience? We as adults can pretty much instinctively know what information we need to search out to help us and will go to pretty much any end we need to get to where we want to go. I firmly believe that children are just as capable of doing so in an instinctual way and that we as educators need to help them access and refine that instinct….but….we very often have children put in a box that we wouldn’t put ourselves in. How ridiculous it would be for me to tell my friend that the only way she might figure out to bake a cake is by reading and memorizing a cook book, and then getting mad when the cake comes out a complete flop! And how rare it would be for my friend to be willing to do such a thing in the first place, without being able to determine her own path to accomplishing such a task. And yet we ask our young students to do something that strange on a daily basis…. How much more true this becomes for children with special needs, who face myriad challenges! Instead of trying to fit them in a box that really wasn’t made for them in the first place, why can we not instead embrace a concept of muchness, as Kristine Barnett (The Spark) calls it? This is where the Circe view about the arts just absolutely clicked for me. All of it is based in mastery. It is based in “feeding” our students the best embodiments we can find in all areas. We function as guide: a guide knows the path because he or she has walked and explored it. A guide won’t push a traveler to do something dangerous or unhelpful- they want them to get Home. A mastery-based education isn’t going to get caught up in paradigms, because just as a written outline is not a paper/essay, a paradigm will never be the fullness of an education- it is just a tool to help structure a journey. A mastery-based education also takes into account the human taking on the education- the sparks that make a person a person. Their raw abilities, their own instinctual knowledge. A mastery based education encourages us to see our children as human beings, not their achievements or failings. I find asking this question helps center the needs in front of me. I know what God desires of my children and of me (act justly, love mercy, and walk humbly [Micah 1:6] quick to listen, slow to speak, and slow to anger [James 1:19]) and this should be ultimate focus for the education of my children. Sometimes asking this question helps me to realize when the kids have been experiencing a lot of trauma from the medical stuff emotionally and to dial back expectations and planning and focus on healing. 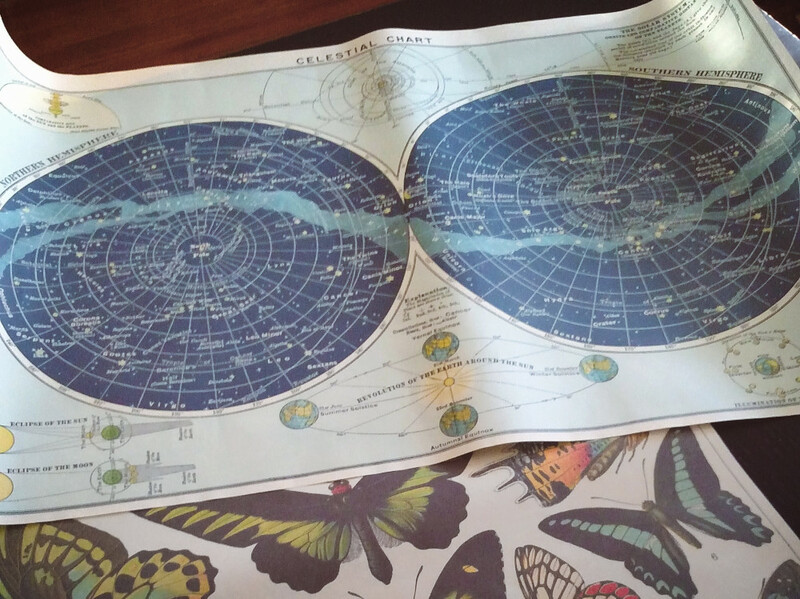 Map, feast, muchness, out of the box. I find when I am consistently paying attention to these areas, wonder and joy come much more easily. When I let an area slip off the radar, so to speak, dragons start popping up, needing slayed. If I remember, I will consciously remind myself to walk it back to the list. Sometimes it can take me weeks into months of dragon slaying before I think to myself, now wait a minute. I should note here that the list doesn’t imply a balance- all things being held equal. It suggests a hierarchy- and as Andrew and Matt put it, when things are going flat and off chord, it is pretty obvious. When we look for harmony among these ideas, things start to sing- there is joy. When the first two questions are answered, the implied questions in the third statement are easy to answer. When I haven’t been asking the first two, trying to assess and answer the last statement is much more difficult- it feels foggy or overwhelming. This should be a clear sign to me that I am moving off map into dragon land, but that’s not always the case. Sometimes a dragon has to blow hot breath on me before it clicks that we’ve wandered from our purposes. I think the “packing list” for anyone else is going to be slightly different, but I would encourage you to find and decide upon touchstones that help you to focus on keeping first things first in your student’s education. 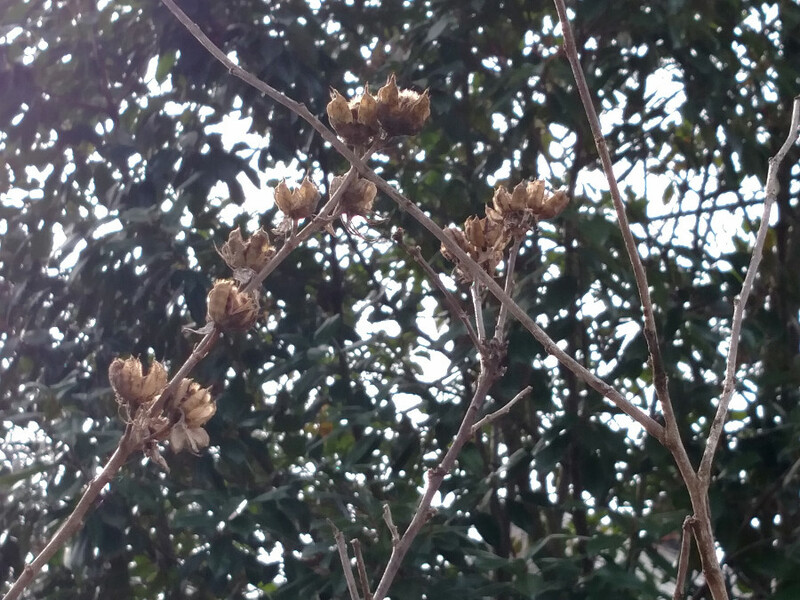 This post is fifth in the Wonder and Inquiry series. Now, if you’re anything like me, you read my last post and thought to yourself that what Andrew and Matt had to say are such beautiful, lovely concepts. You finished off the dregs of your coffee, or maybe your tea, turned off the screen, and stepped back into your life. A few hours later, you’re in the thick of it. The laundry pile is teetering off the couch, the doctor called with some bad test results, you’re pretty sure you just stepped in some jam, your eldest is asking you to explain the finer points of the cumulative property (again), and you’re listening to one of your younger children painstakingly sound out one word after another from his reading lesson. You take your cuppa back to the microwave to warm it back up (again), and in that quiet half second that you talk yourself off the ledge of ripping your hair out and send a wordless prayer heavenward- you think to yourself, all those fine words, they are beautiful, and man, oh man, do I want that peaceful, restful way of teaching, but hello?!? real life here. It was a phrase map-makers used to put on uncharted parts of the map. You’re in uncharted territory, buster! The thing is, a restful way of teaching shouldn’t feel like dragon-slaying. Dragon sighting, maybe. Exploring, maybe. Wonderous new worlds, definitely. But not dragon-slaying. Mini-odyssey each day. Gettin’ right on that. If only I knew how. I understand what she wrote about the arts being the map, but if you ask me, the symbols on that map are all, well, a bit fuzzy. And strange. Andrew and Matt make it sound so easy…. I’m going to break out some ideas for orienting each day in wonder, contemplation, and inquiry as we engage in practicing getting Home everyday over the next few posts, but today, let’s get into the thick of real life. I want to say something gently. Whether you were homeschooled, public schooled, unschooled, blue schooled, purple schooled, no schooled, you are still on a journey of education. Yes, you. I don’t care how old you are. You wake up every day and you go about your life, and I guarantee you that you learn something every day. Maybe you learn that coffee warmed in the microwave three times over isn’t quite the invigorating experience you’d like it to be and that the taste leaves something to be desired, but still, your brain, your heart, your soul, they are all still engaged, still exploring, still moving about in the world. You still wonder about things, when you have a quiet moment…when the hustle and bustle of adult life hushes itself enough. Maybe you wonder about why a political party is so popular or how to make a proper souffle or how to balance your bank account better. Me? I wonder how to be a better artist, how differnent techniques look on a canvas, wanting to understand color theory better, how to use my camera better…..are you catching a glimspe of what I mean? Maybe, like me, you have been thrust into the horrible baptism of a medical diagnosis, and for the sake of your children and yourself, you’ve got to understand what all those nebulous words the doctor keeps saying mean. You’re learning how to track multiple accounts and multiple numbers and notes and codes so that you can understand just what it is that the insurance company is denying, this time. New information. New information that is important to you, for whatever reason- whether it is because you were wondering, or because you have to know- you are still taking on new information. You are still learning. Never forget that as you walk beside your students. For that matter, learn right along side them. Wonder, inquiry, and contemplation are far more simpler than they sound. Children know how to do all three without being taught- have you ever seen a child at the edge of a puddle, watching the little bugs skate across the surface? They are all in. They watch, engrossed. They test theories- what happens if I put this stick here? If I drop a stone what will the water do? What will the bugs do? They are hunkered down, nose and eyes level with the minute scene being played out before them. If you ever need a refresher on how to find your way back to joyful learning, take a toddler for a walk, watch them do it effortlessly, and learn it over again. One of the biggest reasons we struggle to engage in restful teaching is because whether we realize it or not, we’re holding onto broken tools, and forgetting the way we learn ourselves when no one is watching us, forcing our feet to the fire. Many of us had an anxious educational journey driven by tests or the thought that we just aren’t math people or that grammar is something English teachers use to torture us…Broken systems. Broken tools. We aren’t alone. We are all journeying this together, in one way, shape, or form. And secondly, we can make different choices, no matter where we are starting from. Andrew says it this way: Principles set you free. Practices enslave. When you begin to bring your heart and mind around to the idea that education is an ever-spiraling upwards pursuit of Truth- the Logos- you are set free. Joy and wonder enter back into the equation. You yourself instinctively know and have a sense when you are hitting a wall in your learning. Maybe there is too big a gap between what you want to know and what you actually know. You absolutely want to be able to bake this cake for your loved one’s birthday but there are some serious barriers in the middle- like understanding how to whip properly. But this absolutely matters to you. It’s like fire, lit, and you can barely hold the reigns on it. This is important, your heart is telling you. What do you do? You call a friend. You pull out a different cook book, you queque up a YouTube video, you practice, and practice, and practice. And there are flops. And, boy, are there messes. But you keep trying everything you know to do until- it clicks. You know you whipped it up like a pro, and the proof is in the eating of it- your perfect cake, the one you saw in your mind’s eye, the gift you wanted to give to your loved one. Everything you know to do until– it clicks. Every tool in your box. Every stray bit of knowledge filed and tucked away. As Andrew pointed out, if a philosophy isn’t practical, it isn’t necessarily true. If you hold to any tool so tightly that you cannot set it down for another tool that would be far more useful toward your ends, it ceases to be a tool. It is a heavy burden instead. Hold on to it long enough, and I bet it’ll take the metaphorical shape of a dragon….and that we’re not on the path anymore. If joy and wonder don’t feature often in your home and your learning adventures together, you might be holding on to the dragon tail of a broken tool or system. Now I can hear you saying in your head, but Joy, the laundry. The jam I stepped in. The medical diagnosis. My husband lost his job. I’m working and trying to teach and I just really want some sleep and, and, and… WHAT NOW? What joy? What wonder? Boy howdy, I’m not sure I can answer that. Heaven knows, I’ve been puzzling that out myself the last three years, especially. I’ve faced all of that and more! But what I’m learning in the midst of it all is that there is beauty and art and joy and wonder in every single day. We just have to have eyes to see. Ears to hear. It’s there, but we have to keep our hands open. We can’t hold tight to anything that would weigh us down because, dear hearts, we are running towards Home. Nothing to enslave us, His burden, light. These pressures, they are always with us. This pain, this intense, wounding pain from whatever it may be- it still does not define us. Our status as journey-Homewards-people is the only thing that matters, daughters and sons, heirs together with Christ. We keep fine tuning our truth perception. We keep hoping and praying and loving and learning and running the race. That is the joy and the wonder mixed in with the sorrow and the pain. We can hold on to it and find rest no matter what we face. And we can teach our students and our children how to do it too. This is the fourth post in the Wonder and Inquiry Series.